Anyone that's been to one of our classes, (car and boat), or read any of my articles concerning polishing paint, (or gel-coat), knows that I always stress the importance of using products that use great abrasive technology. This picture tells the whole story. 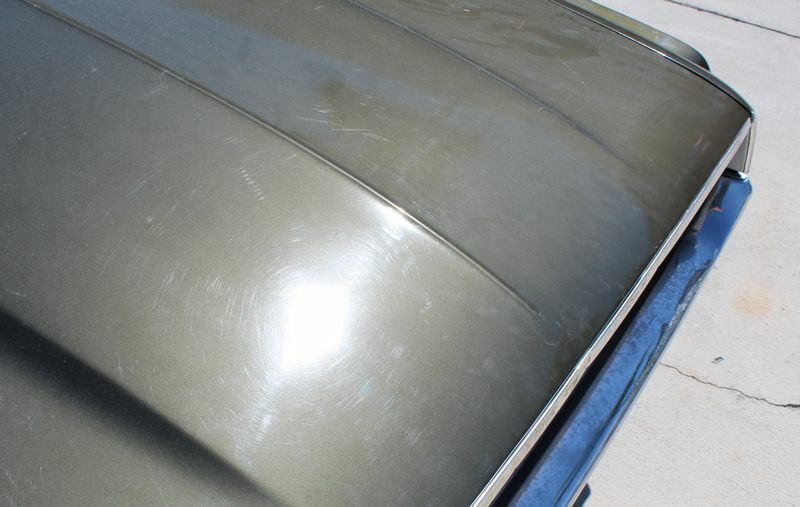 In the above picture of my buddy Jeff Bell buffing on the trunk lid of a neglected 1969 Ford Thunderbird, here's what you see in ORDER of what touches the paint. 1: The first thing you see "touching" the paint is the compound. 2: On top of the compound is the buffing pad. 3: Behind the buffing pad is the tool. 4: And the last factor in this process is the person behind the tool. 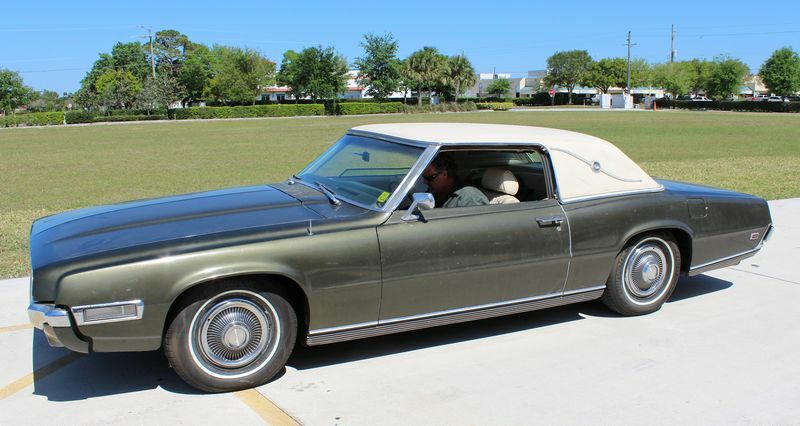 Now I know a lot of guys that are detailers are also a tick on the Alpha Male side of personality characteristics, you could even say some are a tick ego-driven because for hobby or a living, they take a swirled out car and restore a show car finish. I get it, I've take a lot of trashed cars and restored them to better than factory new condition myself. There's a sense of pride and satisfaction that comes from doing this type of artistry. That said, I've also had young people, old people and people from all walks of life attend my classes that have NEVER machine polished a car before and their very first time have produced professional results. These people did NOT have any experience and thus they also had no real skill. What they did have going for them was the fact that I ensure in all my classes we only use product that use great abrasive technology. Then it's just a matter of using common sense to match the pad to the product to the job. And of course, use a quality tool. Technique is demonstrated and also taught hands-on and this combination of all these things leads to success but it starts with the stuff that "touching" the paint. I know a lot of you guys will disagree and say skill is the most important factor but I know for a fact that some products are better than others when it comes to abrasive technology. Lesser quality abrasive technology will micro-mar the surface of a clearcoat finish when working on black paint it will turn it a shade of gray. This happens because when you scratch something clear the scratch appears to our eyes as opaque. Opaque = whitish. So when you micro-mar a clearcoated finish you are turning the clearcoat opaque or whitish and when it's on top of a black basecoat the effect is the paint will become a shade of grey. This same thing happens to ALL paint it's just harder to see on lighter colored cars. The goal when polishing clearcoat paint systems is to maximize both gloss and clarity and you do this my remove all defects, both topical and sub-surface. The goal when polishing single stage paints is also to maximize gloss and clarity as well as bring out the full richness of color and the same techniques you use on clearcoats you use on single stage paints. I brought this thread back to life today and while doing so remember that I used the above picture to make a point in a class I taught at Mobile Tech Expo. It's a good picture. It tells a story. 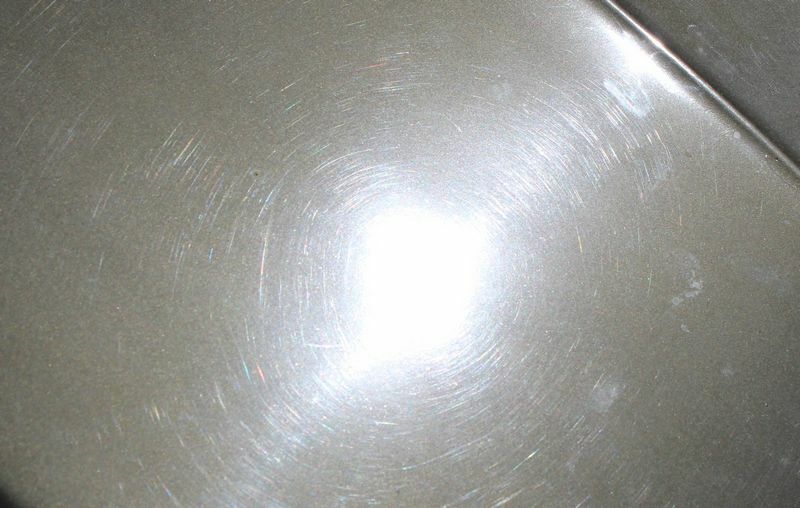 Not bad for the original single stage metallic paint on a car that is 49 years old. Also - in this one single thread there's probably enough tools and techniques shared in DETAIL to write a book. POLL - What's the number one most important factor when it comes to polishing paint? My observation is that many, not all buy many detailers are in the Alpha Male group. And the way that applies to car detailing is they tend to think it is them and their great technique that makes car paint look good. I take people, young, old and in-between that have NEVER polished paint before in their lives and with great abrasive technology they turn out just as professional of results as anyone of us on this forum including me. Good argument for office dwellers to buy some gear and become a professional.